Linah Hussain, Malak Mously, and Rawan Baik have beaten out more than 23,000 applicants from across the world to be crowned winners of the prestigious competition. 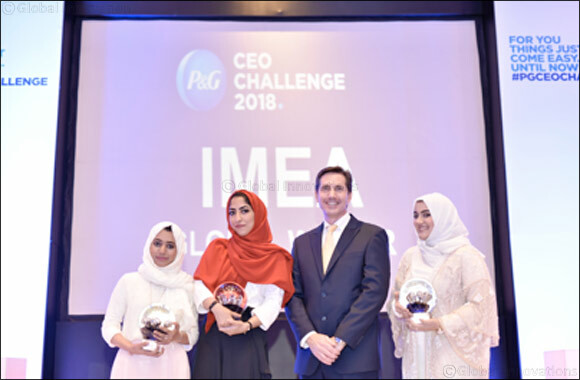 UAE, Dubai, 27, May 2018 – A team of three female engineering students from Saudi Arabia’s King Abdulaziz University in Jeddah have become Procter & Gamble’s Global CEO Challenge Winners. Linah Hussain, Malak Mously, and Rawan Baik beat out over 3,500 prospective participants from across India, the Middle East and Africa, before going on to compete in the global leg of the competition against participants from across the world in Panama, where they were required to present business solutions for a real-life case study to P&G’s CEO, David Taylor. P&G’s annual CEO Challenge gives participants an opportunity to set out a high-level strategy for a billion-dollar brand, undertaking in-depth business case studies that test their skills in marketing, general management, human resources, strategy development, and budgeting skills.